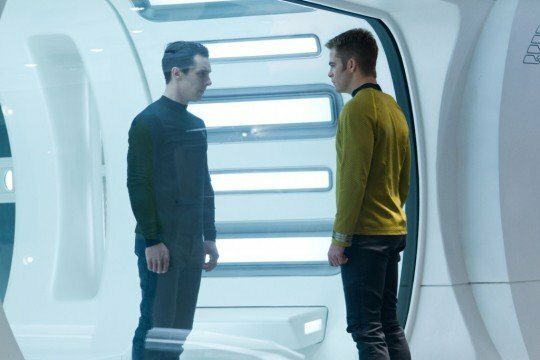 Could We See Star Trek 3 In 2016? With J.J. Abrams now at the helm of Star Wars: Episode VII, many are wondering what will happen to the Star Trek franchise. The director gave us the initial reboot in 2009 and now the sequel, Star Trek Into Darkness, is about to make its way into theatres. But where will we go from here? Will Abrams continue to direct? When will Star Trek 3 be released? Recently, producer Bryan Burk spoke about the matter to Digital Spy and told them that we may see the third film come out sometime in 2016. Check out what he has to say below. Digital Spy: Given that the Gene Roddenberry series debuted in 1966 and we’ve just had a huge Bond 50-year anniversary celebration – has Paramount been talking to you about making a 2016 release date for the next Star Trek film? Now, this obviously isn’t anything concrete but he does say that they don’t want to wait four years. He also acknowledges that 2016 will be a big year to celebrate, so in our mind, it seems like the perfect time to release Star Trek 3. It makes perfect sense too that the studio would want to capitalize on the 50-year anniversary, just like we saw when Bond turned 50 a few months ago. Of course, the question on everyone’s mind is if Abrams will direct. Seeing as he’ll be pretty busy with Star Wars for the next few years, I can’t see how he’d direct Star Trek 3 if they intend on aiming for a 2016 release. To have both projects on his plate at once would be a tremendous undertaking, one that not even a talented individual like Abrams can pull off, or pull off successfully at least. Either way, we’re sure that Star Trek Into Darkness is going to be a huge hit and once those box office numbers roll in, and the glowing reviews pile up, Paramount will undoubtedly start making some announcements on the future of the series. And when they do, we’ll be sure to let you know.